Glowing images and memories from last year’s Pyeongchang Winter Olympics appear to be serving Korea’s tourist trade well. John Park, director of the Korea Tourism Organization’s Toronto office, says a sporting spectacular seen as glitch-free and which showcased Korea to the world, is expected to help lead to more than 200,000 Canadians visiting the Asian nation this year. 2018 saw 194,259 Canadians visit Korea, up from 176,256 in 2017. Park also credits an improved relationship between South Korea and North Korea for helping raise the number. Packages are in the works that would enable Canadians to visit both Koreas on the same trip, with Park adding there’s curiosity among travellers about North Korea, which has isolated itself from much of the world. One focus of Korean tourism promotions this year is scenic Jeju Island, found off Korea’s southern coast and which Park describes as an “island of nature,” thanks to its having beautiful beaches and an often-mountainous landscape. A highlight on the island – which has UNESCO World Heritage Site status and sees different seasons – is an inactive volcano that’s dubbed Mother Mountain and which energetic hikers can climb, seeing its crater. Tourism authorities also note that there are 430 km of hiking trails ringing the island. “I strongly recommend they try the hiking,” says Park, whose wife is from Jeju. Jeju island is also home to over 40 golf courses, with all of Korea – which has become a powerhouse on the professional golf circuits – having more than 500 courses. The world’s second-largest Grand Hyatt is slated to open on Jeju. Other new hotels in Korea include a Sheraton in Busan. Seoul is slated to see the openings of Hyatt, Marriott and Accor properties. A Novotel opened in the city last year. 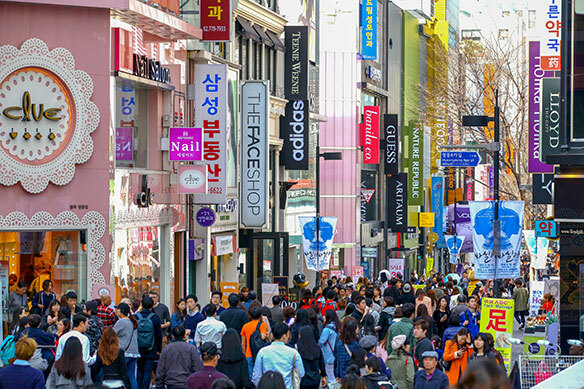 Meanwhile, tourism authorities are touting Discover Seoul Passes that showcase the likes of tourist attractions, shopping and transportation and can be good for 24, 48 or 72 hours, depending on the card chosen. Tourism authorities have also identified 100 must-see attractions in a country that has just seen Buddhist mountain temples become its latest attractions to receive UNESCO World Heritage Site status. Park notes that this year is the 25th anniversary of Air Canada’s Seoul service, and the airline and the KTO will work together on projects marking the occasion. Air Canada now flies to Seoul from both Vancouver and Toronto. Korean Air also links those two Canadian cities with the Korean capital.